The Yerevan protests have become the subject of a new Russian cartoon by animator Vyacheslav from Kamyshin (a town in the Volgograd Region), acting under the network name Snowman. 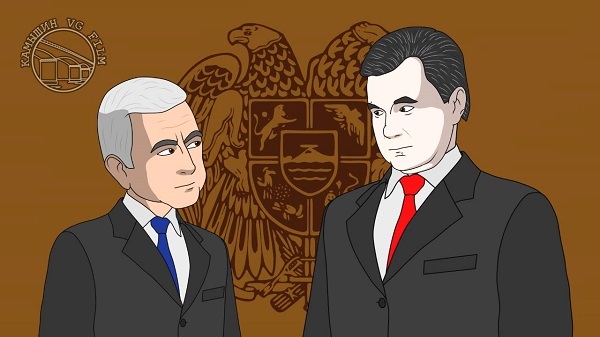 In the new cartoon, former President of Ukraine Viktor Yanukovych and President of Armenia Serzh Sargsyan are discussing the topic of the so-called «Maydan» in Yerevan. The author derides the stupidity of Yanukovych, who gives advice on how to defeat the «Maidan». Yanukovych promises to help Sargsyan to avoid a coup. Then, he accuses the head of Armenia for his links with the State Department. But Sargsyan interrupts him, explaining that people came to protest because of the social problems, not for the political reasons, as it was in Ukraine. The President of Armenia recognizes his own fault in the increase of the electricity tariffs. «You’ve lost your country and do not have to teach it to others,» says Sargsyan, refusing to take Yanukovych’s advice. Recall that a large number of Russian and Ukrainian experts drew parallels between the protests in Yerevan and Ukrainian Maydan. Snowman is known for his cartoons focused on political themes. 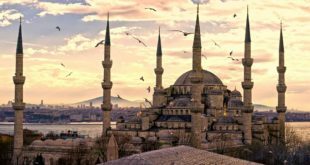 The author ridicules the situation in Ukraine and the U.S.. His works are often featured by Barack Obama, U.S. State Department spokesman Jen Psaki, President of Ukraine Peter Poroshenko, former Georgian President Mikhail Sahakashvili. Vyacheslav has been creating cartoons for a long time. On the creation of a cartoon he works mostly alone and does everything himself: coming up with a script, parody writing and drawing the images of heroes via computer.